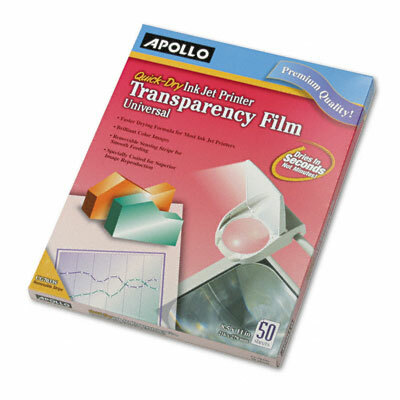 Create and present crisp charts, graphs and spreadsheets using your ink jet printer. Create and present crisp charts, graphs and spreadsheets using your ink jet printer. Manufactured from the highest quality materials. Special coatings for reliable feeding, superior image adhesion and no static. Dries in seconds—ideal for last minute visuals. Works with virtually all printers. Projects both black and color. With removable stripe.